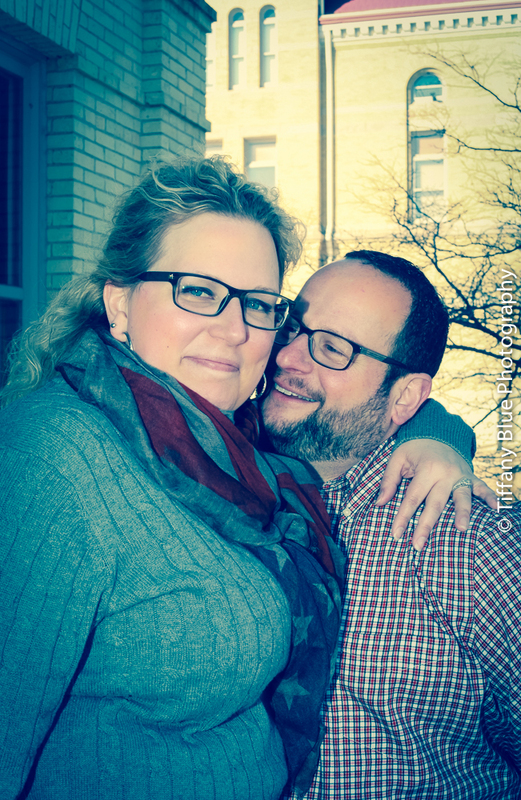 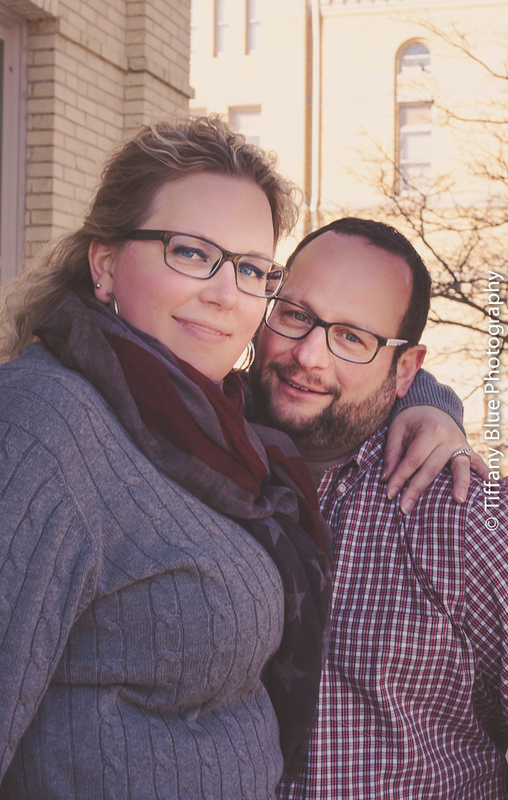 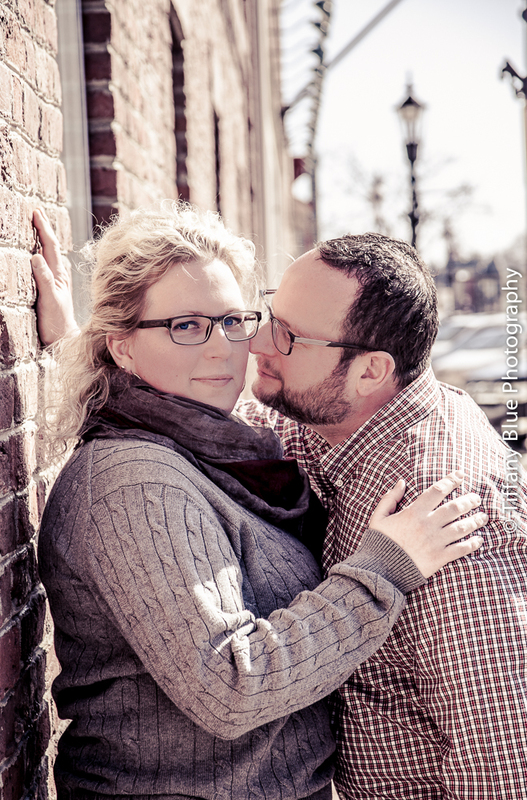 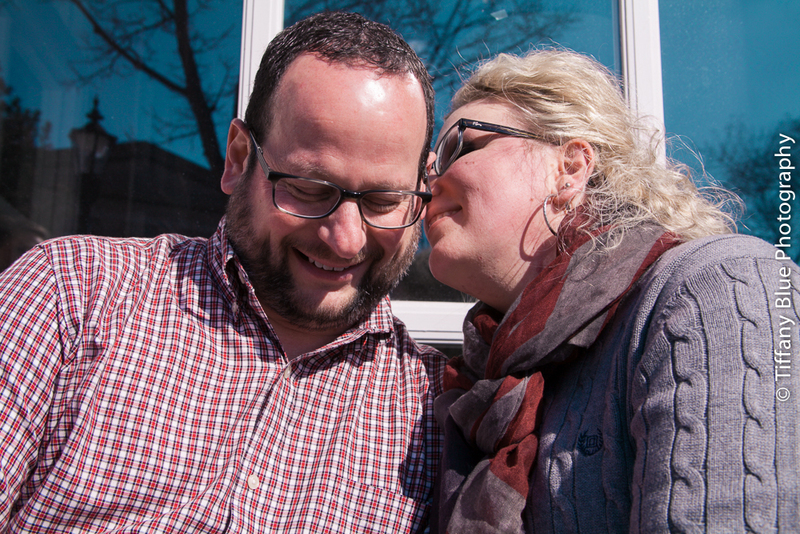 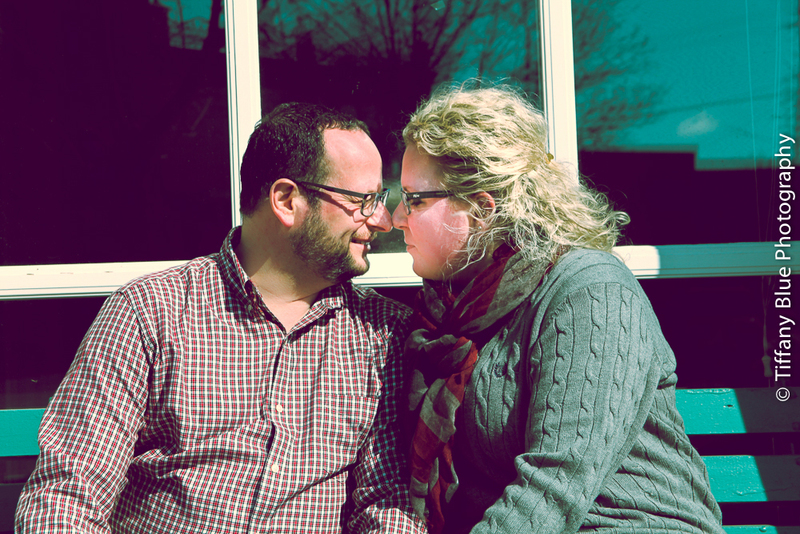 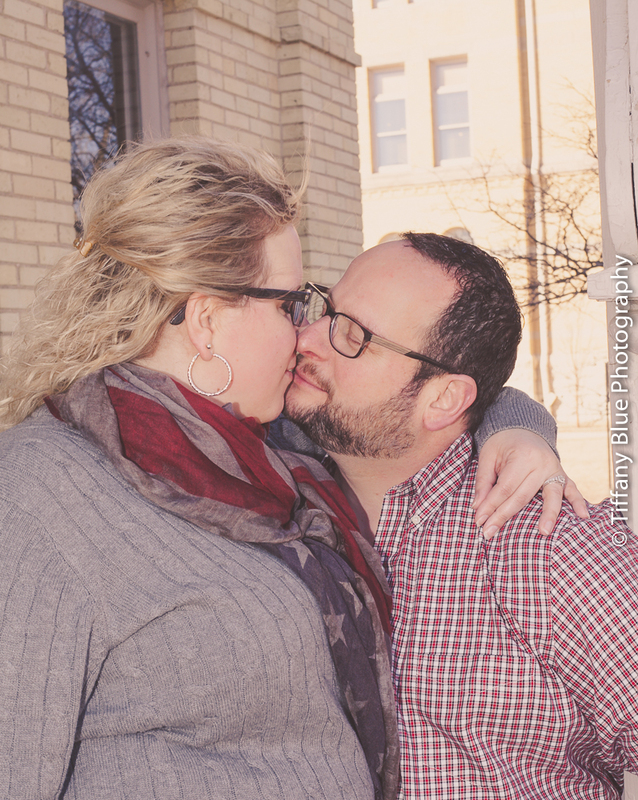 Presenting Mellissa & Joe, our newly engaged couple in West Bend, Wisconsin. 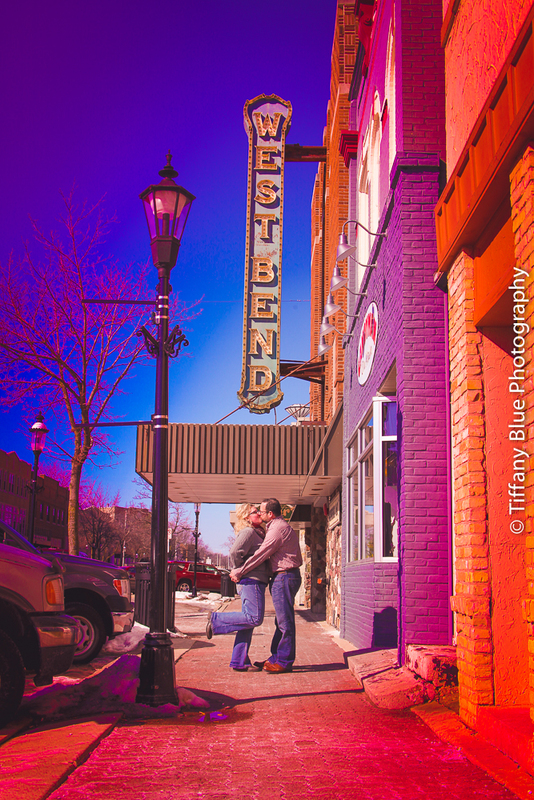 I was so excited to spend an hour taking pictures in historic downtown West Bend. 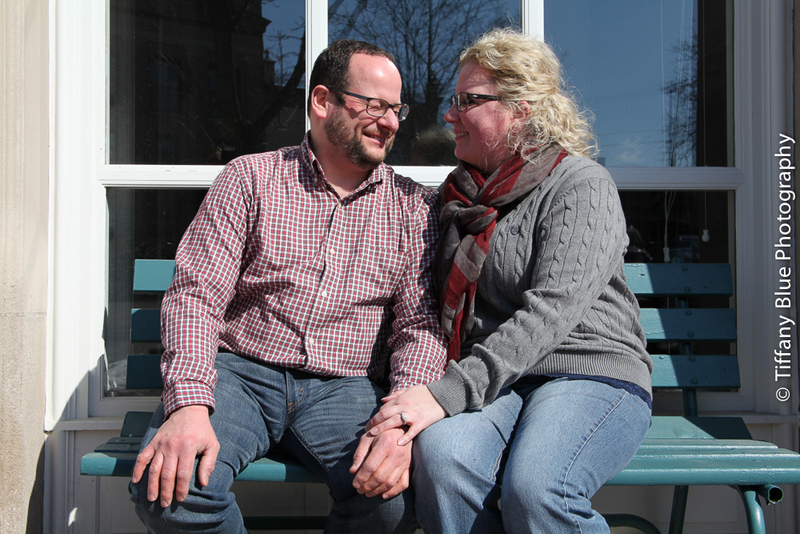 We started at Grasshoppers, Melissa & Joe's favorite breakfast spot. 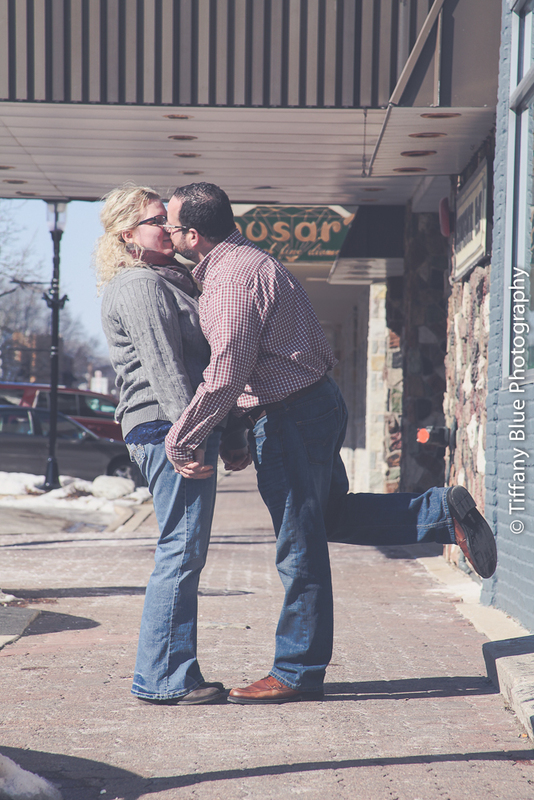 Then we found a pretty country blue colored bench and brick wall that, if it could, blushed from the couples sweet kisses to each other. 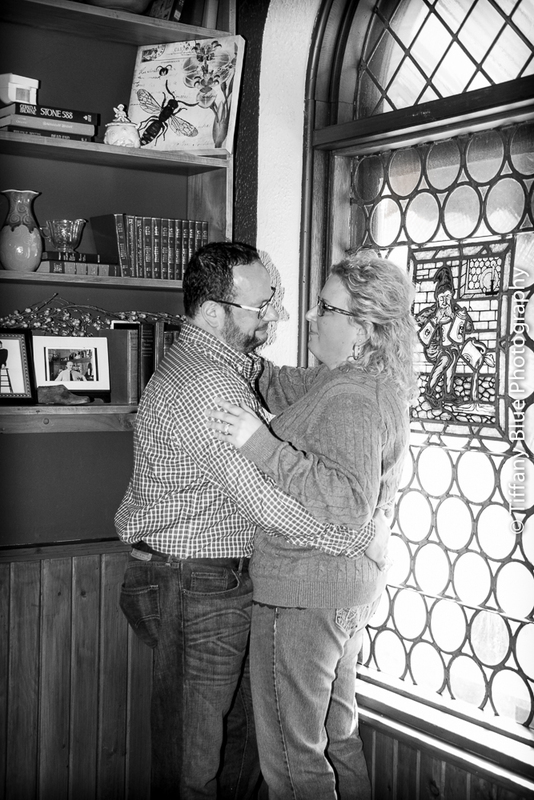 The old movie theater is iconic and timeless, just like Melissa and Joe's love! 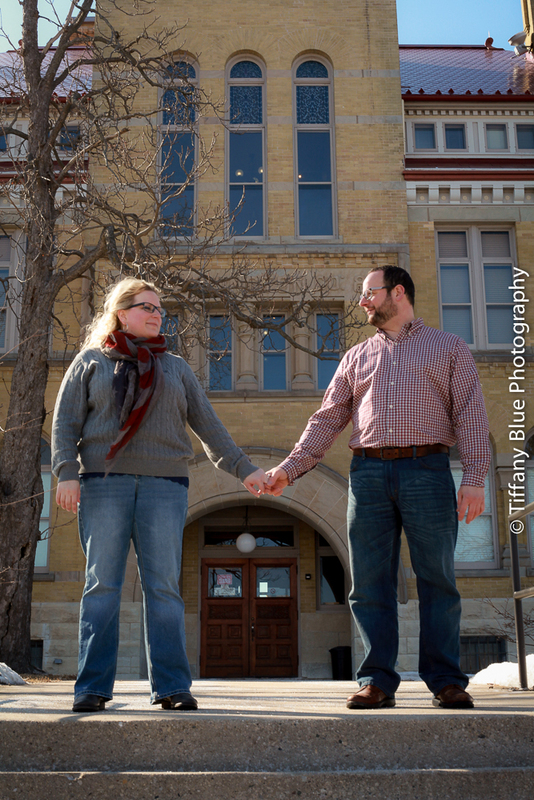 Crossing the streets, heading up to the old historic courthouse, finding all sorts of fun photographic spots for this lovely couple was truly an honor to capture. 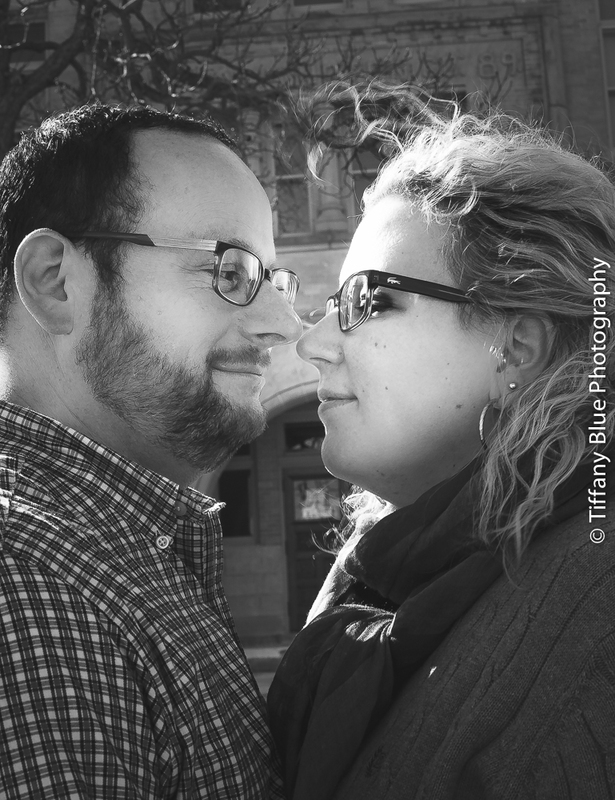 I cannot wait for their October 2015 wedding!